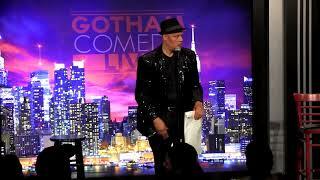 If ever there was a comedian/ magician to be seen, it is Kevin Lee. Kevin’s unique combination of comedy, magic and juggling leaves audiences both in awe and in stitches. Lee, has appeared on all of the national television stations on shows such as “Showtime at the Apollo”, HBO’s “Def Comedy Jam”, and Jamie Foxx’s “Uptown Comedy Club”, to name a few. Lee was also voted “Washington DC’s Funniest Comedian” by Washingtonian Magazine.Audiences are wowed by Kevin’s amazing juggling, fire and sword-swallowing comedy.Kevin’s stage career began at The Comedy Cafe in Washington DC where he placed first in the very first comedy competition he ever entered. After a quick stint as a Street Entertainer in DC, Lee moved to Venice Beach, CA, the Mecca of street performers. It was there that Kevin honed his craft, building his repertoire of comedy, magic and juggling to audiences of all ages and walks of life. While in California, Lee became a regular at the world’s famous Comedy Store.Lee has also been seen on five seasons of BET’s “Comic View” and his distinctive skills have allowed him to share the stage with legends such as Gladys Knight, Chris Rock, Steve Harvey, Whitney Houston, Chris Tucker and Sinbad. He performed for the troops in Saudi Arabia during Desert Storm and continues to entertain military bases around the world today, including Korea, Germany, Italy and Japan. Wynton Marsalis featured Lee in his “The Magic Hour Tour” which sold out from New York to Los Angeles in 2004. Lee, a high-energy, one-of-a-kind performer has brought audiences to their feet worldwide. A rare and true talent, Kevin Lee is not to be missed.